Do you remember HPD’s CR-Z Hybrid R Concept that was shown at SEMA in 2010? 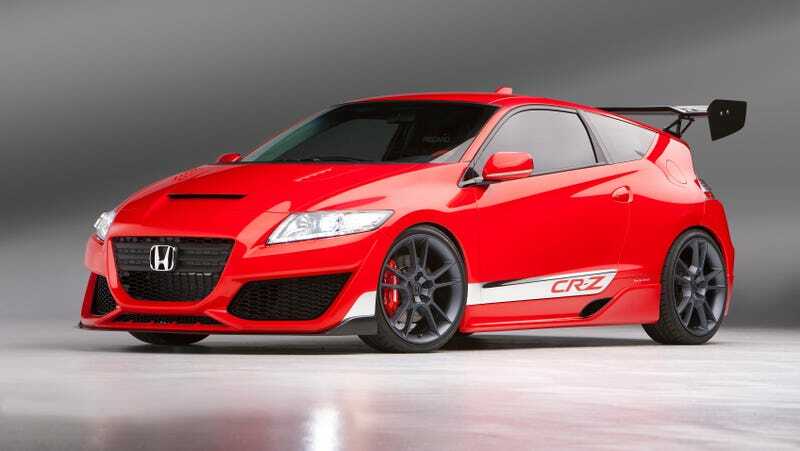 Do you remember HPD’s CR-Z Hybrid R Concept that was shown at SEMA in 2010? I’ve never stopped thinking about it. The CR-Z is the proto hybrid sports coupe that I wish had continued to be developed. If Honda were to offer a similar car today with the Civic’s 1.5-liter turbo engine and a plug-in hybrid electric motor boosting power to around 250 horses, it’d be a stellar little ride. Throw in a 30-ish mile EV-only range and you’ve got a modern day CRX that’s part HF and part Si. The CR-Z is the car that enthusiasts seem to hate, but I can’t help but love.